Unfortunately for me, I wasn’t​ the only one. I wasn’t interested in waiting hours in line on launch night, and many fans were. When I visited a few stores around Boulder on launch day, my hopes were unfulfilled. This is the definition of a first world problem, but it felt weird to not be able to throw money at a product I was excited about. Much like the NES Classic, supplies have been extremely constrained, and still are. I picked up the phone and started making calls. Most of the stores around knew they were getting more Switches, but could not speak to exactly when. But, through perseverance and luck, I would randomly get in touch with an employee who somehow knew more than everyone else, or was just willing to say more. These random people gave me the clues I was hoping for. Unfortunately, I again underestimated the enthusiasm around the console. My first clue let me to the local GameStop on what I believe was a Wednesday. I rode up on my bike about an hour and a half before they opened. I wasn’t planning on waiting, I just I was already out and curious if there was a line. There was. I chatted with the only person in line who didn’t look completely miserable, though he did look cold. He told me that he heard they were getting six. There were already six people in line, and apparently there had been for hours. The guy I talked to had also driven over an hour and gotten there before 7am, and he wasn’t even first in line. It was impressive determination, to just buy a thing. They won this time, they wanted it more than I could justify. As a side note, that GameStop opened at 10am, so those people waited over 3 hours outside, in March, in Colorado. That’s some enthusiasm. My next tip led me to Target. They open at 8am each day, so I figured there would be less competition. I rolled up at 7:45 and was pleased to see three people in line, two of them being a couple that only intended to buy one console. Surely Target received at least three consoles in their shipment! A manager came out a few minutes before 8 and had to assume we were all there for the Switch. She then handed out two vouchers and informed me that it was a smaller shipment than they expected and there were only two up for sale. She genuinely apologized, and while disappointed, I wasn’t mad. I then rode home and my wife made fun of me, but in a somewhat well-intentioned way. A few days later, a tip led me to Best Buy a little before they opened. I had heard they had a shipment on the way overnight and there was a truck at their dock. There wasn’t anyone waiting, so it could’ve been my time to shine, but it could also mean I had been misinformed. Luckily two employees came out to vape, this might be the only time vaping has helped someone, and were open to answering my questions. I learned a bit about the bureaucracy of Best Buy logistics and it was my best chance yet. Basically, the Switches could’ve been on the truck, but they have specific employees that unpack trucks who wouldn’t be there until that evening. 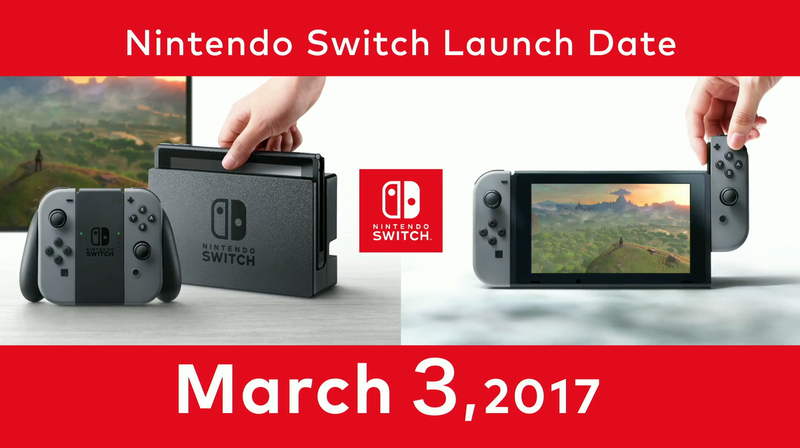 The Switches could pop up online for in-store pickup, or could just hit shelves either that evening or the next morning. I was working that night, but I set an in-stock alert for the store on my phone and hoped for the best. Nothing popped that night. As far as I could tell, they were never in stock, but that wasn’t guaranteed. They might’ve just not come up online and been sold in the store. I figured it was worth the 5 minute bike ride to go check it out the following morning. Another guy rolled up on his bike a few minutes before they opened, making the grand total three people. Not quite the numbers that GameStop drew a week ago, but it’s still people waiting for a store to open, which is kind of ridiculous. The doors opened and the vape guy from the previous morning saw me and said they had three on the shelf, perfect! The other bike guy was so excited he forgot to get a game before he went to check out, well the game given he attach rate. It also turned out that the person waiting mere inches from the doors that morning wasn’t even there for a Switch, so some people do just show up before stores open just for the hell of it. I got it home with a few hours left until work to get my adventure in Hyrule started. The throwback of not waiting for a game to install is pretty incredible.